A heartwarming tale of pirates, treasure and mermaid magic. to become a human for a day to be able to explore the land as well. With the help of her new friend, Pirate Pete, she tries to find the right magic spells that will make her wish come true. Come and join in the fun in this family-friendly adventure, packed with music, songs and magic. 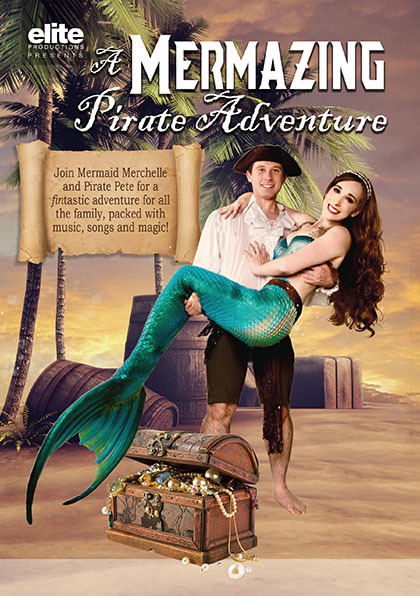 Why not stick around after the show and to meet Mermaid Merchelle and Pirate Pete and have a “shellfie” with them too!